Item # 292795 Stash Points: 2,498 (?) This is the number of points you get in The Zumiez Stash for purchasing this item. Stash points are redeemable for exclusive rewards only available to Zumiez Stash members. To redeem your points check out the rewards catalog on thestash.zumiez.com. 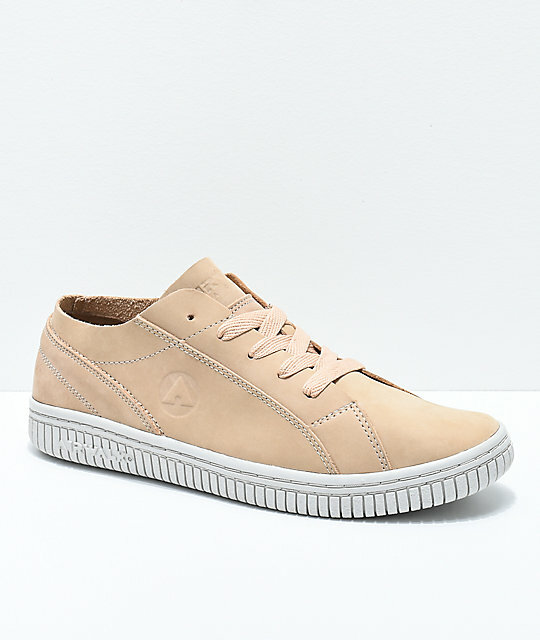 With a similar silhouette to Airwalk's best selling "One" and "Random skate shoes, the brand now introduces the chic Second Skin Natural Skate Shoes. 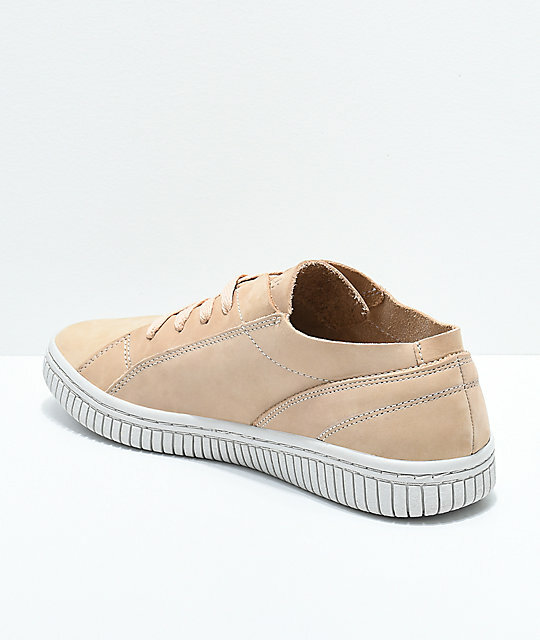 Available now in a fashionable beige and white color scheme, the Second Skin has a deconstructed leather upper that offers minimal padding but enhances its mature look that results in a more sleek contemporary skate-inspired profile. Bound to be a modern classic, the Second Skin emerges to help celebrate Airwalk's 30th anniversary. 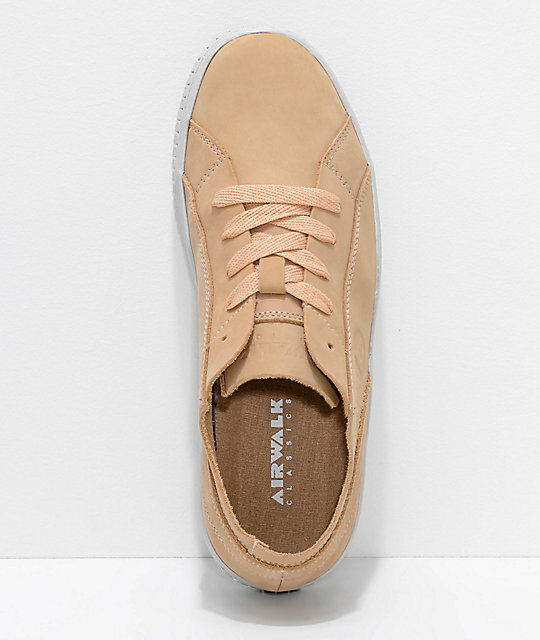 Second Skin Natural Skate Shoes from Airwalk. Deconstructed leather upper with double stitching throughout sidewalls. Embossed Airwalk logo on outer sidewalls. Cushioned EVA footbed with PU heel insert for support. Rubber outsole with hexagon tread patter for grip.